The hourglass shape of the Perky Pet Pinch-Waist offers both an engaging aesthetic silhouette and a convenient half-way marker for easy long-distance monitoring of nectar levels. 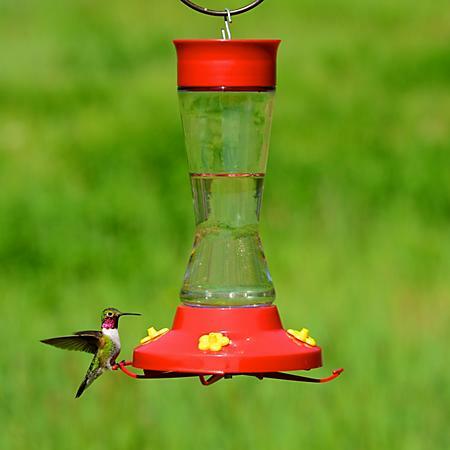 Perfect for bird enthusiasts with a lot of ground to cover and have too many feeders to check one-by-one, or for customers looking for something a little funky and different than the standard cylinder feeder. Holds 16 oz. of nectar and features a full-circle perch with four feeding ports in addition to its easy-clean detachable perch and shatter-proof glass reservoir. I was looking for a feeder that did not have the cones. This one is perfect. It is really easy to clean and the hummingbirds love it. 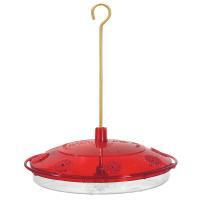 I have used this hummingbird feeder for several years. I have been unable to find them in the stores and have tried several different ones. Alas, my hummingbirds didn't like them. I am so happy to find them again, and the hummingbirds thank you too! I too have had this feeder for many years and needed to replace it. I was so glad to find it again. My main use is for Orioles. I take out two of the "flowers" and they feed like they hadn't had anything for ages! I've tried other feeders for the Orioles but they prefer this one. I have not opened them yet, and are for Christmas gifts. I ordered them because we have one of our own, and it was by far the best we have ever used! It is easy to keep clean, and refill, as well as the fact that it NEVER leaks. 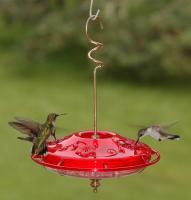 We had more hummingbirds this year than ever.I was ecstatic when I found them at your website. I like the size and shape! It is just right for my small hands. I like the 2-cup capacity. Also, it was easy for me to assemble. The feeders were everything I hoped for. 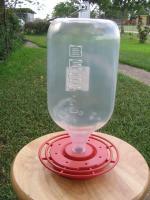 I am trying different types of hummingbird feeders. 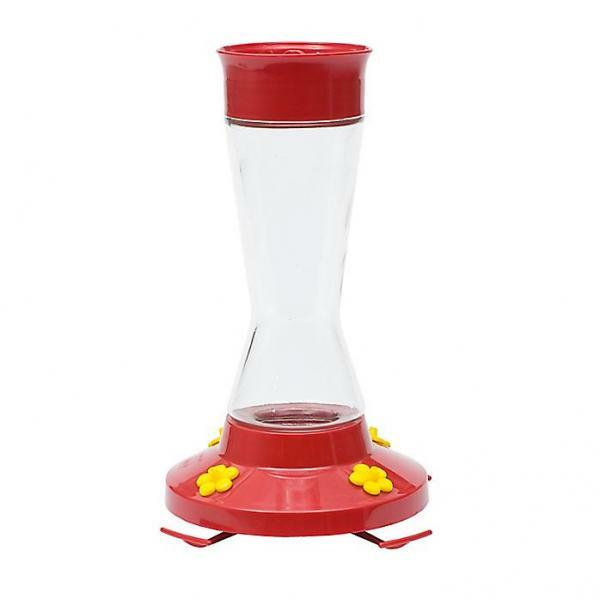 I find the Perky Pet Hour Glass feeder is the best in terms of total volume because it is [not too large and not too small] and easy to clean. 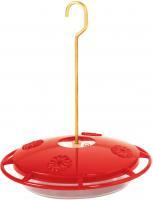 This is my favorite hummingbird feeder (and my hummingbird's favorite also). I was familiar with the product before I purchased it. I love this feeder! I couldn't find it in the stores, so I was glad to see you carried it. The quality looks excellent and the price was reasonable. It is just like the one I had and loved for 10 years. It was great, birds loved it, and is easy to use. This seems to do exactly the same! The base fell off - probably my fault - but it cracked and had to be patched with silicone. It seems to be fine (that is, not leaking) now. 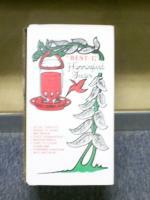 Received in Good condition and the Humming Birds seemed to enjoy it. No birds have visited either the hummingbird feeder or the finch feeder. I received no syrup for the hummingbird feeder and there was a hole in the finch food and I lost half of it on the ground. I am not sure the finch feeder is correctly put together--the instructions were poor.